All DISC tests, including the Everything DiSC® assessments, are built upon the foundation of what William Moulton Marston identified as four primary emotions and associated behavioral responses. We identify them today as D (dominance), I (influence), S (steadiness), and C (conscientiousness). The DiSC® model looks at a continuum of pace (activity and energy level) and a continuum of skepticism or trust. Other DISC models tend to look at pacing and another behavioral dimension. You’ll see that Everything DiSC plots your style within a circle, making it more apparent that we all can exhibit any of the styles at times. We’ve found that the circular model is more easily understood and more memorable than a graph. Many other DISC profiles (even our older DiSC® Classic profile) often use a graph to show results. Some of them refer to an adaptive style for which Wiley’s researchers have not been able to find any support. Everyone is able to adapt their style, although some behaviors might be easier to enlist than others. The preciseness of a personality assessment and its validity depends very much upon how well the assessment has been constructed and tested. For example, Everything DiSC used a sample of 26,703 for the final norming. We recommend using an Everything DiSC assessment if you’re looking for a tool you can have confidence in. Four DiSC types or 12 styles? 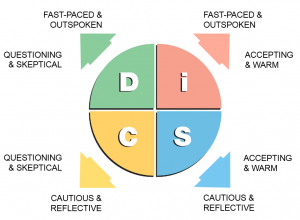 Everything DiSC assessments allows for finer differentiation among styles than just four labels. So some styles will be D, i, S or C, but there are also styles such as Di or SC. When you complete an Everything DiSC questionnaire, you are scored on eight scales, not four. Your profile report reflects the style that is most descriptive of you. The Everything DiSC profile provides even more nuance by showing how strongly you prefer your own style. This is reflected by how close your dot is to the edge or to the center. The closer your dot is to the center, the easier it is for you to adapt behaviors associated with other styles. As you can probably tell, it takes more than reading these descriptors to know which style is yours. Learn more by reading one of these posts. Examples of 12 DiSC styles. 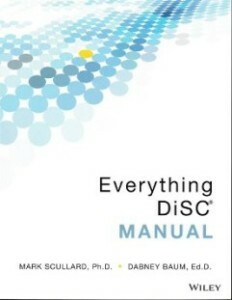 If you want to learn more about how Everything DiSC connects to other models and psychometric theory or about he methodology of its development, be sure to pick up a copy of The Everything DiSC® Manual. This is great material. OK if I cite your website and material at an upcoming free workshop I am doing for the food bank in my area? Requests to reprint or use any portion of our website should be sent to orders@discprofilecom. Detail the content you want to use and how it will be used. Thanks for asking first. I am into Counseling and would want to use your Test always, acting somehow as your agent here. I just took one and I’m impressed. You can purchase profiles and facilitation materials at https://www.discprofile.com. If you think you’ll be using Everything DiSC profiles as part of your counseling business, then you might want to become a Wiley Partner. Learn more about that at https://www.everythingdisc.com/Partnership.aspx. My organization is looking into using this assessment. Who would I reach out to as my main point of contact? Also, do you need to be certified to use this test? I look forward to hearing from you. You do not need to be certified. We recommend using one of the facilitation kits if you’re not, however. 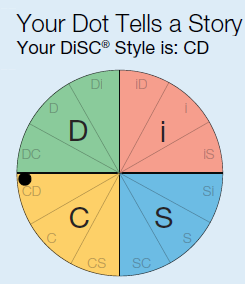 You’ll find the Everything DiSC assessments and training tools at https://www.discprofile.com.